The fragrance of Ritua Perfume is truly transfixing. It unfolds, it summons, it calls. It is the Divine Feminine captured in a bottle, and its magic is back in the shop: with the same amazing formula and a gorgeous new bottle featuring custom-made artwork. This is one of THE MOST sacred blends that I offer. I spared no expense in the creation of this blend, and the magic is sure to be felt as soon as you open the bottle. Anoint yourself with this potion before any ritual work, and allow its magic to support and guide you powerfully in your sacred practice. Whether working with a moon phase or celebrating an important holiday, equinox, or solstice, it’s important to call in the energy of Spirit as you begin ritual work. This is what Ritua is meant to do: help you come into deeper contact with the Divine. This perfume is brimming with the fragrance of Balsam de Peru, a scent that resonates with energies of calm, peace, and warmth. Balsam de Peru is known to be gently protective, and its essence will keep you safe and stable as you go about your sacred practice. To add to the magic, each bottle has been infused with leopardskin jasper and clear quartz chip stones, for amplified vibrations of exploration and expansion. 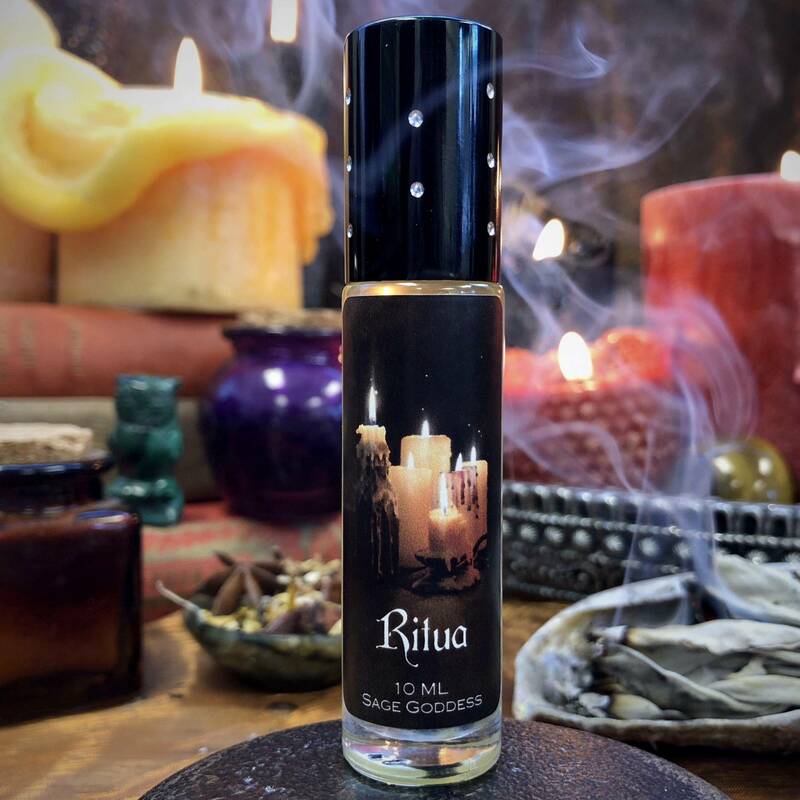 Anoint yourself with Ritua Perfume to call in the presence of your angels and guides when performing magical work, or simply before you go about your day to instill your spirit with peace. Allow it to serve as a companion and beacon of light on the path of your Highest Good. May its energy support you and all that you do and remind you that wherever you are on your journey, you are not alone. This listing is for one (1) 10 ml bottle of Ritua Perfume. Yours will arrive lovingly parceled, ready for anointing.